Summer is all about endless fun and adventures. Right? Most of us usually go on out of town trips or leave the country for a few days just to beat the heat or to make the most out of this season. This means beach trips, conquering mountains, camping, cooling off in Tagaytay, Baguio or other countries. Regardless of where you're going, Digits Trading has got your techie backs covered! ;) They recently released a new line of products that's sure to make traveling more fun and exciting. Scroll down below to know more! 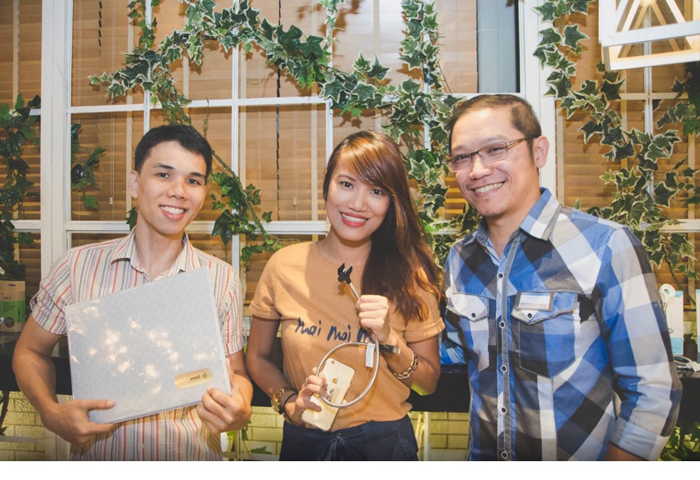 The launch was held in Le Petit Souffle at Century Mall, Makati and hosted by our favorite, Bea Benedicto! It was a pretty intimate event filled with cool summer gears, great food and an awesome contest. I wanted to take everything home. Haha. I saw a few Anti-Radiation products from VEST like the wired headset (or earphones), phone cases and laptop radiation shield. They are not just accessories for your gadgets, but they protect the body from harmful radiation! This is a great gift for your loved ones ha. Especially those who spend long hours using their gadgets! Like me na naman. This brand of anti-radiation tech accessories dramatically reduces EMF (Electric and Magnetic Fields) emissions from mobile devices, protecting consumers - especially children and pregnant women -from various potential health problems. WOW. This Anti-Radiation case keeps both the user and their phone safe by reducing radiation exposure by up to 89% while protecting the phone from the impacts of drops and bumps. The case contains revolutionary high-tech polymers infused with radiation-deflecting elements. Together with a PCB acting as an additional antenna, they successfully divert radiation emitted from the mobile phone away from the user. And then there's the FUSE CHICKEN line! Fuse Chicken is a brand of eclectic and innovative accessories for smartphones that launched in May 2012 to a hugely successful Kickstarter campaign. This amazing brand offers products like phone cables, key chain, cellphone holder, etc. What's special about it? Well, it's made of reinforced flexible steel. Meaning, a truck could run over it but it won't destroy the cable. SO COOL. I'm actually using the Titan Loop and I love it!!! It's a short iPhone cable that's perfect to use with a portable charger. I also use it in the car and I love how my phone could stand on its own while plugged to it. Haha. Instant phone stand. And then there's my favorite brand, BRAVEN! Following last year’s launch of the BRV-PRO, Digits Trading is rolling out new peripherals that can take the world’s most rugged and versatile Bluetooth speaker to even greater heights. 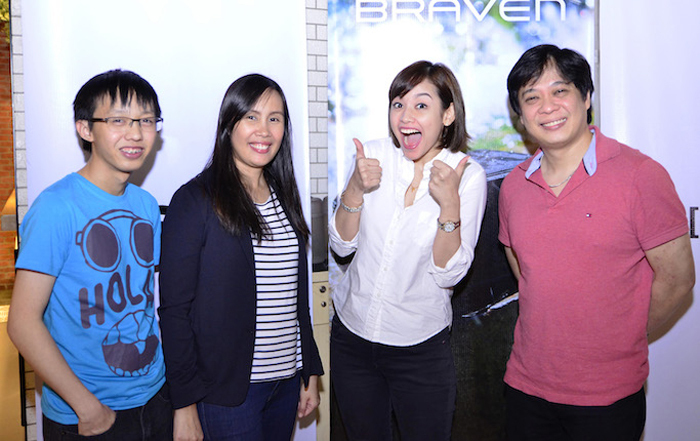 Here are the new BRAVEN products you could now buy from DIGITS! These are shockproof, waterproof and all types of proof. Seriously, this is the ultimate travel companion db? This is also perfect for clumsy people like moi. Haha. Such a good investment. Won't have to buy cheap cables that only last for a month or two. Hehe. Host Bea Benedicto & Digits Marketing Manager! With my loves Sarah & Ana! 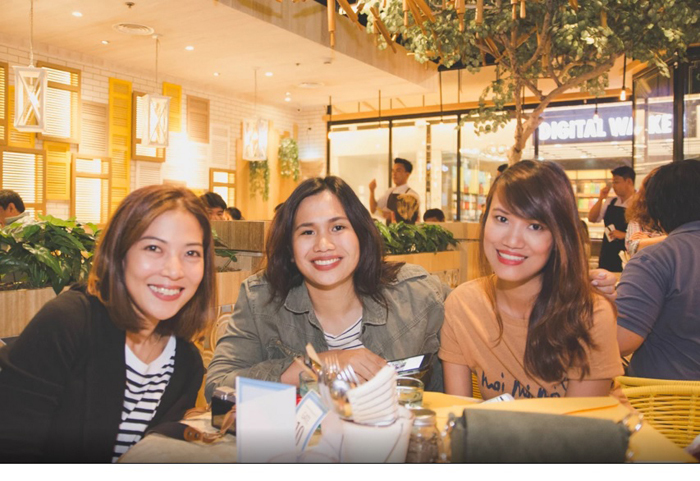 Digits Trading Team Christoff Sy (Visual Merchandising), Gelyn Custodio (Sales and Marketing Head), and Howard Paw (VP for Retail) & Bea Benedicto!